UPDATE! Since originally publishing this post, we’ve added OUR OWN LIGHT Farms eggs for you to enjoy. LIGHT Farms is owned and operated by my husband and me. We currently free-range and organically feed over 500 hens, collect, wash and package the eggs ourselves. These babies are the real deal – EXCELLENT! Read about them and see some photos of the hens and the egg process —> LIGHT Farms Eggs. Let’s see if I can break it down for you. What a chicken eats affects the nutritional quality of its egg. Optimally, chickens should be eating about 50% grains (feed) and 50% forage (insects, grasses, seeds, etc.) This produces healthy chickens who produce nutritious eggs. Let’s also recognize and agree that package labeling is always crafted to convince you to buy that product. In the realm of produce, many ambiguous, “feel good” terms are used that have no consensus on their definition. An example would be the term “all natural.” Yes, the term does send you warm fuzzies but without a regulated definition, it’s meaningless. There are actually three attributes to consider when evaluating a food – nutrition, flavor & treatment/management of the animal or the land. Here, to keep it simple, I am only looking at nutrition. While this term is defined for free-range chicken meat, it is undefined and unregulated in the realm of eggs. Generally, you can assume that the hens at least have access to outdoors. It doesn’t mean, however, that they are allowed to roam on pasture and eat freely. The term free-range also has no implication of what they eat, only how they are managed. There is no regulation on who is using this term or how it it being used. Like free-range, this is another subjective term. It can be assumed that cage-free chickens aren’t confined, but this terms makes no implication that the chickens have access to outdoors. And like free-range, this term has nothing to do with what the hens are fed or how they are treated. There is no regulation on who is using this term or how it is being used. This term is regulated and those who use this term must be certified by a third party. This is good! Now we’re getting somewhere. Certified organic eggs must come from hens that have access to outdoors (the amount and quality is undefined). They must be fed a diet of certified organic grains. Because this diet must be vegetarian, we can assume their access to the outdoors is very controlled and limited (because *gasp* bugs live outdoors). Since chickens need to eat some bugs for optimal health and chickens by nature are not herbivores (they’re omnivores), I can’t for the life of me figure out why “fed an all vegetarian diet” is a good thing. Perhaps it’s another one of those “feel good” things meant to trap uneducated consumers. In any event, given the options, in the absence of locally produced “I know the farmer” eggs, at least these hens are fed organic grain instead of gmo-feed full of pesticides and animal parts. Eggs that are enriched with omega 3 fatty acids are fed a diet that includes this. The fatty acid is subsequently transferred to the egg. I’m not a dietitian and I don’t know the answer here about whether this is good or bad. Here is what I will say, however. If a health practice is uncertain and controversial, and we can get the same nutrition from a natural non-controversial source, shouldn’t we? I choose to get my omega 3’s from wild-caught oily fish, and grassfed milk and beef. Other great omega-3 sources are chia seeds and flax seeds. These are almost always your best choice, even though there are still a few pitfalls. You can almost always be assured that these eggs come from hens who had ample access to real pasture with plenty of opportunities to eat natural forage and bugs. This is good news for the nutritional value of those eggs. However, the very best eggs come from a farmer who is conscientious enough to feed his hens organic grains instead of the traditional gmo corn and soy blend found in your local feed store. 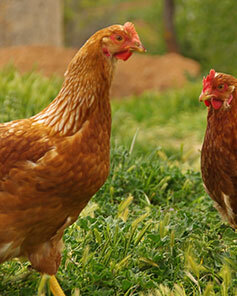 Farm-fresh eggs where you know what the chickens eat, and how they are treated are your best option. If those are not available to you, the next best option (nutritionally) is organic eggs. Omega-3 eggs: healthier choice or marketing gimmick? Love everything I see would love to see some pricing…plz!! !